The PMC Tank Level Transmitter has been especially developed for measuring tank levels in paper mills and similar process industries where pulp or viscous materials are stored. The small diameter of the transmitter (1½”) permits flush installation with the inside wall of pipes 3” in diameter or larger. 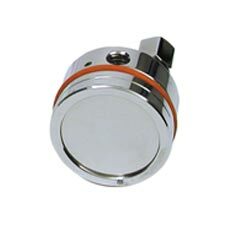 This feature overcomes pocketing problems normally encountered with conventional flange-mounted level transmitters. The D/R (double ring) style carries a second ring which locks the diaphragm retainer ring at the point of calibration and helps ensure long-term accuracy.